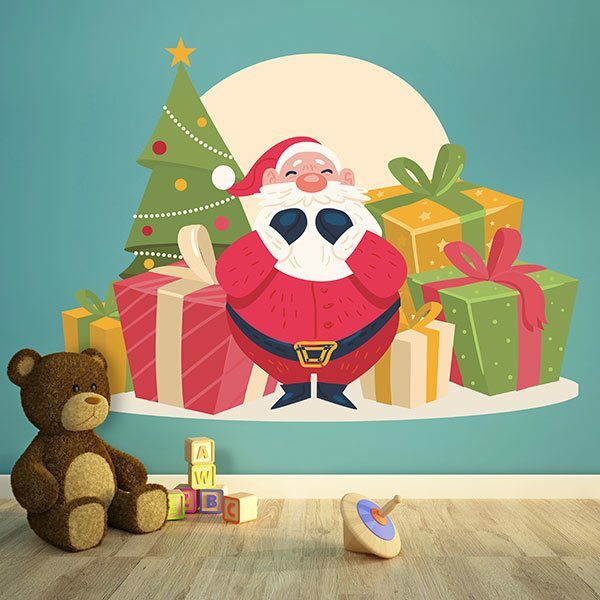 Kids wall sticker Santa Claus with gifts. 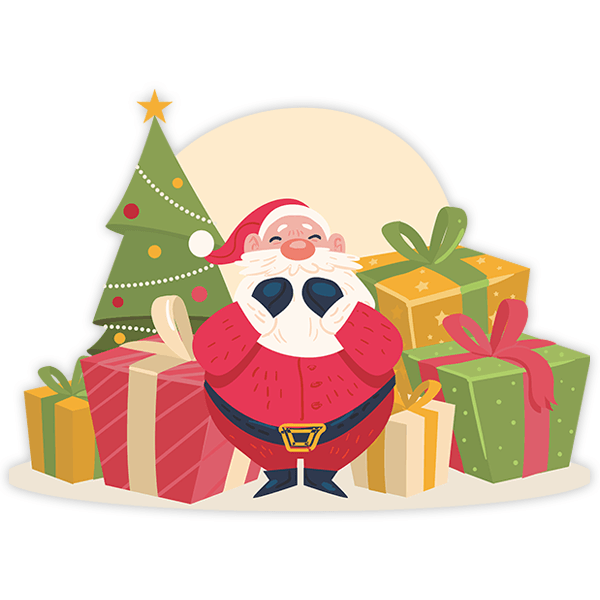 Design in which Santa Claus appears surrounded by great gifts, behind we can see a Christmas tree. It seems that someone has behaved well this year with so many gifts. Ideal to place in the living room or in the foyer of the house. Size: 75 x 11 cm. 15.75 x 11.42 in. 19.69 x 14.17 in. 23.62 x 16.93 in. 27.56 x 19.69 in. 31.50 x 22.83 in. 35.43 x 25.59 in. 39.37 x 28.35 in. 43.31 x 31.50 in. 47.24 x 34.25 in. 51.18 x 37.01 in. 55.12 x 39.76 in. 59.06 x 42.91 in. 62.99 x 45.67 in. 66.93 x 48.43 in. 70.87 x 51.18 in.